Adrian Dix: When He talks YOU should be Listening! Dix: There’s a sucker born every minute! Adrian Dix has been doing a lot of talking in public lately and if the latest polls are to be believed at this point not many of the voting public are paying much attention. It may be that it is not close enough to an election and nobody cares but it is time to listen because this is platform stuff that the electorate will be voting on. 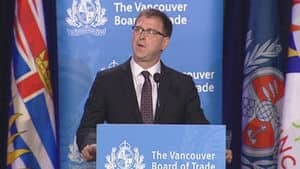 One week ago Mr.Dix spoke to the Vancouver Board of Trade and advised them that if elected premier he would raise corporate taxes back to 2008 levels. This should be of concern to the average voter because an increase in corporate taxes will either result in a loss of jobs or at the very least result in frozen or decreased wages in the private sector. It has to, there will be less money for companies to allocate for raises or benefits. On the heels of that we see reports today that Dix told reporters after a speech to the Union of British Columbia Municipalities that he would repeal balanced budget law if elected premier . Dix claimed the law as is was a joke. While I agree that the Liberals have made a mockery of the law, the nice thing about forcing a government to go before the house with hat in hand to ask to run a deficit is at-least it goes on Hansard . This forces both a record ,a vote and yes the house to be in session. To allow any government in this day and age to run a deficit and tell you later is heresy. With Dix ( he has a history of forging memos and fare-beating) and the BCNDP’s propensity to raise taxes without warning why would you want to give them this license. There can be no more open blank cheque book style of government; we have seen how the Liberals have handled that. ( Look at the bad press this week with government begging for money for senate elections that have not yet been put to the house yet). Remember the 1990″s and the BCNDP fudget budgets and recall Dix played a leading roll with that group too? If anything the law should be tougher,not repealed.The voting public should demand it! What about being open and accountable before spending our money? Posted on September 27, 2012 Categories B.C.Politics, bcndp, provincialTags Adrian Dix, balanced budget law, bcndp, raising corporate taxes.1 Comment on Adrian Dix: When He talks YOU should be Listening! BC Conservative AGM: All Instigators Sent Packing! 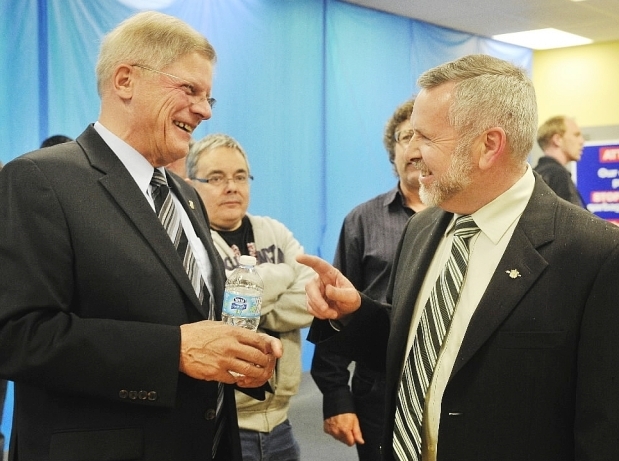 Today was a good day for the BC Conservative Party up-to and including the incident where John Van Dongen left the party. The party elected Voice of Reason Al Seibring as president, Christine Clark as Vice President,Linda Bellamy as Secretary and re-elected Treasurer Lambert Leung . Also elected were a whole host of new directors including Dan Denis,Dennis Beliveau,Daniel Brooks and Douglas Machan. All the instigators of the last week were not elected and lots of new blood was elected to the board. John Van Dongen left the party ( I told you that might happen in my post yesterday) and so the party has a chance to get some work done and elect some MLAs next May. Van Dongen worked hard on the BC Rail file but he also worked hard at disrupting board meetings with his monthly ” I am getting elected with or without your help threats”. During his goodbye speech John Van Dongen mentioned that the BC Conservatives did not work as a team. This is a concept that Van Dongen himself doesn’t understand as his demands on the board above illustrate. Could we have done more to pacify him? Probably but he could have done more during the by-elections to help us too. Sure losing an MLA is a blow but in this case the party is better for it! Posted on September 22, 2012 Categories BC Conservatives, BC Politics, provincial, UncategorizedTags BC Conservative Party23 Comments on BC Conservative AGM: All Instigators Sent Packing! BC Conservative Leadership Results- It’s Cummins! 71% say Good Job John! Well the numbers are in. 1115 BC Conservatives cast ballots. This is a huge number of people who got involved. 788 BC Conservatives ( 71%) said John Cummins should not be subject to a leadership review! Conservatives in the hall united in applause,as the party pledges to move forward and capture seats in the upcoming May election. On the heels of this historic win Cummins and team proposed via a news release major changes to the rules governing sittings in the Victoria legislature. Most notably the fall sitting, under a BC Conservative Government,will be used as a means to scrutinize expenditures relating to taxpayers dollars. Deputy Ministers, Crown Corporation executives and the like will be called to face committees not only to account for expenditures for the previous years but also to answer for projections for the upcoming year. A novel concept, the house being used for serious government business. The May 2013 election just got interesting. The electorate now has a chance to vote for real change ! Posted on September 22, 2012 September 22, 2012 Categories B.C.Politics, provincialTags BC Conservative Party, John Cummins14 Comments on BC Conservative Leadership Results- It’s Cummins! The Only Things Certain in Life: Death and Taxes! Death and Taxes Politically Speaking! Everybody has been saying all summer that once September rolls around ,politics in BC will get real interesting. Well what do you know September is here and just look at the past two days. Yesterday,BCNDP leader Adrian Dix came out of the closet and actually said something. Horror of horrors he said what we all knew all along. He is going to raise taxes! He was talking about corporate taxes of course. He says he is going to raise those taxes up to 2008 rates. You could make the argument they are already there with the tax increases the BC Liberals have levied on business. You remember the new holiday and the increase in minimum wage tax. This spelled the death of the video game industry in British Columbia. What did Christy Clark about all this? Not much really, she was to busy outlining to the electorate what a rotten place Victoria is to spend time in with the lack of real people and all. 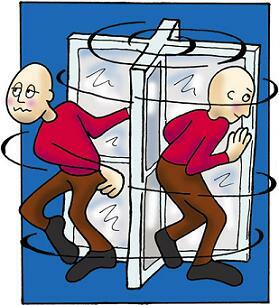 Note to Christy: When those people who are not real step behind a voting booth they are just as real as anybody else. I would think anybody that was thinking of voting for you would now be changing their minds. I would also think those people in other parts of BC, most notably the ones in your riding who sent you to Victoria in the first place, will now be having second thoughts, now that they know how much you hate it. Meanwhile,over at the BC Conservative Party,John Cummins and Crew were too busy warding of a small group of agitators ( More on this in a future post later this week) to have much time to comment on any of this. 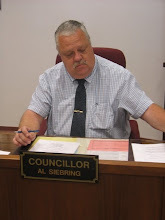 It seems, however a voice of reason and sanity has risen from the ashes in the form of North Cowichan Councillor and BC Conservative Party Presidential Candidate Al Siebring who was quoted as saying “We have to show that we’re a credible force and we have to do that first of all by showing that we know how to conduct and govern ourselves”. He is right of course and that conduct must show itself at the conclusion of this weeks BC Conservative Party AGM . Otherwise it’s DEATH ( two political parties) and more TAXES( BCNDP) next May. Posted on September 19, 2012 Categories BC Politics, provincial3 Comments on The Only Things Certain in Life: Death and Taxes! BC Politics: Legislature won’t be Recalled in the Fall But that’s not what is Important! Christy Clark: I will say whatever it takes to get elected! I spent the day listening to news reports and call in shows asking people how they felt about the legislature not being recalled in the fall. Do they care was the question on cutting edge of the ledge ( Bill good show). I think the question was framed wrong. It shouldn’t be do you care that the legislature is not sitting this fall but rather this: Do you care that your premier campaigned on a promise to hold more sessions in the house once she was elected and then broke that promise? Quite frankly I think the general public could care less whether the legislature sits given all the nonsense that goes on in that venue. I do however think that the public cares about whether their Premier lies during a campaign. This is not the first time she has broken a campaign promise, remember the promise of returning gaming funds to the arts. This is an important question to debate now especially in the run-up to a general election. You should ask yourself in light of this how truthful will anything she says during the May 2013 election campaign be? So I ask you which is more important: holding a fall session or keeping promises during election campaigns? Posted on September 15, 2012 September 15, 2012 Categories Canadian politics, provincialTags B.C. Liberals, Christy Clark, gaffe10 Comments on BC Politics: Legislature won’t be Recalled in the Fall But that’s not what is Important! Mike de Jong: Don’t worry we will find a billion dollars by next spring! What me Worry? it’s only a billion dollars! In another moment straight out of Mad Magazine, Finance Minister Alfred E.Neuman AKA Mike de Jong said with his best ‘what me worry’ look that the taxpayers were on the hook for a billion dollars that has gone missing due to decreased natural gas prices. de Jong still claims that the budget will be balanced next year before the election. How can you say that given all the variables that make up balancing the budget, natural gas prices being but one. Unless of course the loss of a billion is yet in another list of BC Liberal lies , smoke and mirrors. Former Finance Minister Kevin Falcon was more believable in that role than you and I am sure he would have seen that coming and sent up a warning to get people prepared. Not only that Mike but your replacement over in Health had to have the RCMP pay a visit to investigate some potential criminal action over there. This would have happened right under your nose. I would also expect you will be busy with the BC Rail mess.That in self should be fun for you given that you will be running back and forth from one side of the court room to the other given that you were the attorney general during the Basi Virk case. It seems Mike that everywhere you go a mess is sure to follow. You are no more believable now than when you were part of the team that said no to the HST back in election 2009. The province would be better off with Alfred E. Neuman presenting the next budget, at least we would know it for what it is. Posted on September 13, 2012 September 13, 2012 Categories BC Liberals, provincialTags B.C. Liberals, Mike de jong, minister of Finance4 Comments on Mike de Jong: Don’t worry we will find a billion dollars by next spring! Christy Clark’s BC Liberals: The Vote Buying Continues! Christy Clark: In my Heart I am a Vote Buyer! Christy Clark, Mary Polak and the BC Liberals continued the vote buying today with a pre-election discount on the yet to be opened Port Mann Bridge. You recall this all started last February in the run-up to the April by-elections and continued with Clark bribing people with another holiday last May. Today the giveaways continued with the $1.50 discount day sale over at the Port Mann. It will now only cost you $3 per day to cross instead of $6. I wonder how the voters that travel the Golden Ears Feel,A might ripped off I would imagine. Remember to we are privatizing over at the liquor distribution branch to clear up the budget short fall. How will they buy your votes next? Lots of ways probably, given that today’s poll showed them picking up 3 points to the NDP. They are still getting hammered ( Down by 20%) so be prepared for more election style give a ways. Clark and the BC have lots to be concerned about in this poll mind you. With all the recent turmoil the 4 dissidents have caused the BC Conservatives you would have thought they would have attracted Conservative support back. They didn’t. This just proves that ( over and above the 4 dissidents in the BC Conservative Party), people are smarter than Clark gives them credit for. The Liberals also picked up their 3 % with Clark out of the picture ( in Asia making deals she will never be around to see consummated) and away from the camera where she usually gets herself in trouble. Smart Liberals ( if there are any) will be pulling out calculators trying to figure what kind of bounce they would get in the polls if Clark was gone for good! Will the vote-buying continue or will Clark get the boot? Posted on September 12, 2012 Categories BC Politics, dirty politics, provincialTags B.C. Liberals, BC Election 2013, Christy Clark, dirty politics, Mary Polak, vote buying5 Comments on Christy Clark’s BC Liberals: The Vote Buying Continues! Prime Minister Stephen Harper: Statesman of the Year! Well Done Mr. Prime Minister! Nice job Mr. Prime Minister, Statesman of the Year! The award, given to those who champion human rights and freedom, is no doubt an honor for the Prime Minister as it is for those of us who worked hard to put him in a position to receive it. Prime Minister Harper is a principled leader who is not afraid to take strong stands on the issues that matter as evidenced by the recent closing of the embassy in Iran. 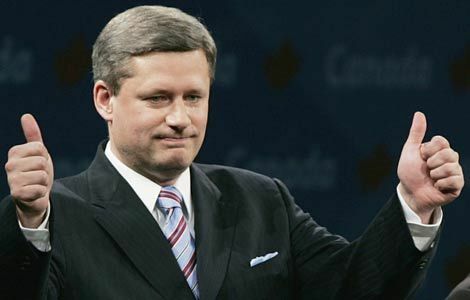 With all the economic turmoil and instability in the world, Canada is lucky to have a leader like Stephen Harper. Well Done sir and thank you for making Canada look good once again on the world stage! Posted on September 11, 2012 Categories Canadian politics, International Politics, nationalTags Conservative Party of Canada, Prime Minister Stephen Harper, Statesman of the Year.10 Comments on Prime Minister Stephen Harper: Statesman of the Year!